This bread traditionally eaten on Easter is a delicious sweet bread that is also great for breakfast! It’s that time again – time for Bread Bakers and this month Sonia picked the theme of braided breads. Although it might be hard to see underneath the crumb, this is a braided loaf! I always feel so blessed to live in one of the most diverse cities in the world. For example, this past weekend I went to Chinatown and there were mangosteen and dragonfruit being sold everywhere and I made a stop at the Chinatown Ice Cream Factory as it was a really warm weekend and had some Black Sesame Ice Cream but they also have durian, green tea, and taro. I don’t think there’s another city in America where just with a short train ride you can go from China to Poland and then India or Senegal with another short train ride. Every community has their own little neighborhood where you can get traditional foods whether it be Greek, Russian, Indian, Chinese, Uzbeki, Middle Eastern, Caribbean, African or Korean. The outer boroughs are the best places in NYC to experience traditional cultural foods. Many Manhattan restaurants placate to tourists and mute the flavors for mass appeal. A few weeks ago I found myself in Greenpoint, after not visiting for several years. Greenpoint is the border area between Brooklyn and Queens, but technically in Brooklyn. It also just happens to be the hub of NYC Polish community. Even just visiting the neighborhood supermarket, I was able to find lots of varieties of kasha (buckwheat) and pickles I don’t find in my own neighborhood. Look out for some buckwheat recipes COMING SOON! While there I had lunch at a fabulous little spot called the Polka Dot Cafe where they serve homestyle traditional Polish food. I had some simple sausage, kasha (buckwheat) and cabbage and it was so delicious. My mom had some rice with kale and sauerkraut stuffed pierogies. Am I making you hungry yet? I definitely plan on going back soon to try some more. If you have a Polish neighborhood in your city, definitely try some of their delicious food. If not, when you come to NYC, don’t forget to include a visit to Greenpoint in your itinerary. Anyway, after experiencing the explosion of flavors of homemade Polish food, when it came time for me to research my breads for this month’s theme, I had Poland on my mind. Chalka is a very popular bread in Poland. Many people make it or buy it weekly. However, it is usually made more festive for Easter by adding the crumb and the dried fruit. This Polish Chalka Crumble Bread is very traditional for Easter in Poland. It’s like Passover without Challah or Jamaicans without Easter Bun for Easter. The crumb transforms the bread from a simple braid to something spectacular to put onto your holiday table! Now isn’t that a gorgeous bread for the table!!! The bread is just as delicious for breakfast with my homemade Pumpkin Jam, cheese and fruit! Polish Chalka Crumble Bread is a delicious sweet bread for Easter. Also just as delicious for breakfast with cheese and fruit! 3 tablespoons cold butter, cut into small pieces. In a shallow bowl, heat milk to 115 F. Add sugar and whisk to combine. Sprinkle yeast on top and leave for 5 minutes, until foamy. In the bowl of an electric mixer, combine 3 ½ cups of the flour, salt and brown sugar. In a small bowl, whisk 1 of the eggs with the egg yolks and the vanilla. Add the eggs to the electric mixer with the melted butter. With the bread hook attachment, whiz the flour for a minute. Add candied orange and run the mixer for another few seconds. Add yeast milk and knead for 7-8 minutes, adding additional flour as needed until you have an elastic dough. Knead for another few minutes by hand. Place in a lightly greased bowl. Cover with plastic wrap sprayed with non stick spray and a kitchen towel. Leave to rise until doubled in volume, 2-3 hours. Divide dough into 3 equal sized portions, each weighing about 12.7 oz. Shape into smooth balls. Cover loosely with plastic wrap and a kitchen towel. Leave to rest for 15 minutes. Form each ball into a rope about 13” long. Take the 3 ropes and form a braid. Transfer to a parchment paper lined cookie sheet. Cover loosely with plastic wrap sprayed with non stick spray and a kitchen towel. Leave to rise until almost doubled in volume, 1 – 1 ½ hours. To make the crumble, combine flour, sugar and butter. With your fingers, mix the crumble, breaking down the butter pieces. In a small bowl, whisk the remaining egg with 1 tablespoon water. Brush the top of the loaf with the egg wash.
Pat the crumble on top. Bake for 50-60 minutes until golden and crusty. The loaf should sound hollow inside when tapped. Ready to make Polish Chalka Crumble Bread? I would love to see your photos! Tag me on Instagram @chefmireille #theschizochef with your pics! 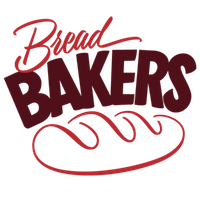 Check out the other Bread Baker Braids! I’ve never heard of this bread and now I want to try it! Sounds delicious. This bread looks beautiful! I’d love to make it! I envy you all the different types of food and ingredients you can buy. Here in Italy, we have wonderful food, of course, but I often get a craving for non-Italian dishes but it’s usually hard to find the ingredients. Even non-Italian restaurants are pretty limited! I was looking for a recipe like this, so perfect for Easter next week! I really want to try making my own bread more often. This looks like a great place to start. I love enjoying this bread on Easter! This year it’s my turn to cook, and now i’ve finally found the perfect and delicious recipe! I am sure it will be a hit at your holiday table! I always think of making fresh home-made bread. Your recipe seems really easy. I’ll give it a try soon. Sure – once you start with homemade bread I am sure it will become an addiction! You are inspiring me to bake! What a delish recipe for the holiday – I can’t wait to try. you must let me know how your family enjoys it! I can already see so many ways to use this recipe! Such a versatile bread that looks extra delicious, too! And if I travel to New York any time soon I will definitely need to visit Greenpoint for some delicious food. Thank you for the tip! This looks SO good! I’ve just saved it to make for Easter. Can’t wait to try it! You must let me know how you like it once you do! This looks like a really great bread for Easter. I am actually 50% Polish, but I have never heard of this bread before! Thank you for teaching me something new, and I am definitely going to try and make this! I am so lucky to live in a diverse city and have friends of so many cultures so have been able to pick up recipes from so many cultures! You must let me know how you like it when you try it! I totally hear what you say about ‘city centre’ restaurants catering for the tourist trade! I live in Hungary and the difference between restaurants in Downtown Budapest and those hidden down backstreets on the outskirts or heaven forbid out in the countryside is like night and day! Ha look at me waffling on, I love the sound of this bread it is a new one to me, but it sounds gloriously rich and delicious!